If your Facebook ads seem to be failing you, you’re not alone. 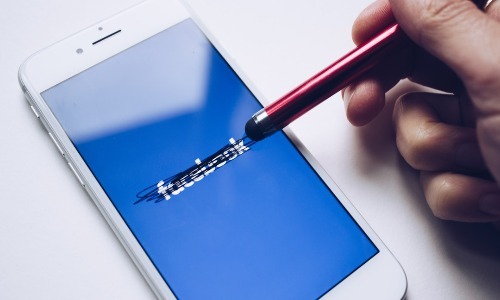 If, like many, you feel that you’re spending your time, energy, and resources on paid ads but seeing a smaller organic reach, fewer clicks, and lower revenue, you may be wondering if the future of Facebook marketing is dead. We are here to tell you the answer is no. It is, however, changing and evolving. Facebook is still a major digital marketing platform, but as it evolves we must also evolve our strategies in order to have continued success. We are definitely seeing the effects of that today, but there are strategies you can take to continue successfully marketing through Facebook and reaching your desired audience. Facebook noticed users becoming more frustrated with the platform, spending less time on the app, and expressing annoyance about the number of advertisements they were seeing. Studies that came out showing the negative impact that social media use has on our minds and on our health were beginning to cause worry. In addition, there were concerns about privacy breaches, inappropriate content not being censored according to Facebook’s community guidelines, and an increasing amount of shared fake news. All of these factors were causing users to spend less time scrolling the app, and social media “fasts” were becoming more and more popular. In order to keep their users, they changed things to favor content from people over businesses. How is this affecting businesses? Due to these changes, there is now less sponsored ad content in the News Feed. Therefore it is now more expensive for marketers to see great results from Facebook ads, and we are spending more and more just to reach our desired audiences. Not only has organic reach diminished, but ads are costing more. When users spend less time on the app, and when the News Feeds contain more posts from their friends, there are fewer opportunities for business pages’ posts to be seen. A lot of pages that weren’t previously running paid advertisements and were relying solely on organic reach and page likes are now being forced to run paid ads in order to have any impact at all. This means even more competition for viewers’ attention. To add to all of this, ads are becoming more difficult to get approved and the best practice guidelines can be confusing. Don’t let this discourage you, though. There are still some major pros of Facebook as a platform for digital marketing. Although it’s harder to come by than it used to be, you can still generate organic reach for free, and it is a good way to get clicks relatively inexpensively. Just by altering some of your methods and strategies, you can continue to have a lot of success marketing via Facebook. Facebook wants to compete with YouTube, so any video that you upload directly to Facebook will be given higher priority and will reach a larger audience. Live video is also a great way to get your followers’ attention. When going live, continue to reintroduce the topic or go over what you’ve already covered as more people join in. Live video also creates an in your followers a sense of urgency and a fear of missing out, especially when you are announcing a giveaway or offering discounts. Instagram is owned by Facebook, and although it carries a reputation of being used primarily by millennials, it is growing and more demographics are using it, quickly becoming a major digital marketing platform. You can cultivate a following on Instagram and run the same ads as on Facebook, or create different posts that cater to your Instagram followers. Pay attention to your audience and post things they want to see. You can also use your Instagram account to direct those followers to your Facebook business page. Use Facebook Messenger to contact or follow up with leads. There is software available that you can use as a Messenger bot, such as Manychat, which can send automated messages for you. This can be a fantastic way to engage with followers and turn leads into customers. Use Facebook posts and ads to get email addresses, which turns clicks into leads. One way to do this is to host contests and giveaways that require an email address to enter, or by offering coupons and discount codes on your website in exchange for their email address. Once you obtain an email address from someone, you have a more captive audience and you can even send personalized emails straight to their inbox. Facebook ads have a feature called Lookalike Audiences, which allows you to reach new people who are likely to be interested in your business because they’re similar to your best existing customers. This takes away some of the guesswork previously involved with choosing a target audience for your ads. Don’t be afraid of CPM (cost per mille). Audiences who click AND buy are simply more expensive to reach. Sometimes it doesn’t matter how many people you’re reaching if they are not a high-quality audience, because there will be no ultimate outcome. If your CPM seems high, but your results are good, it is worth it. Don’t limit your ads to run during weekdays from 9am-5pm, although this may seem like it would be the most highly trafficked time. Realistically, most people have more time to scroll on evenings and weekends or early mornings as they are getting ready. Facebook algorithms will automatically focus on running your ad during the hours that most people are online anyways, so it is unnecessary and can actually be counterproductive to place time limits unless what you’re selling is time-specific. If you’ve heard it once, you’ve heard it a thousand times. Engagement is everything. Reactions, comments, and shares all help determine what appears on the News Feed, meaning that any post which encourages more engagement will increase exposure. Some ideas to promote engagement include asking interesting questions, creating polls, hosting contests, posting quotes, celebrating milestones, writing listicles, and designing infographics or memes. Post images that are eye-catching and feature what you are selling. Include the majority of your text in the copy, rather than in the image. Run a campaign or contest to drive traffic to a specific page on your website and promote the campaign with Facebook ads. You can set it up to where participants are required to like or follow your Facebook business page in order to enter. As mentioned before, this is also a good way to get their email address and therefore obtain leads. Show your personality, use images and video to provide a behind-the-scenes look at your business, share your fans’ content, and show love and appreciation to your followers. People want social media to be social, so the more interaction and fun you can have with it, the better. Many business pages have taken to replying to comments on their posts with GIFs or funny memes.